Today, when you hear about Bar and Bat Mitzvot, what you really learn is all about the parties. Very few students discuss how accurately they read their Torah portions or chant their haftarot. Can you blame them? Teens are deeply involved with their social lives and our present generation has so many social media tools available to share their party experiences with each other and keep the memories of these events alive forever on the internet. 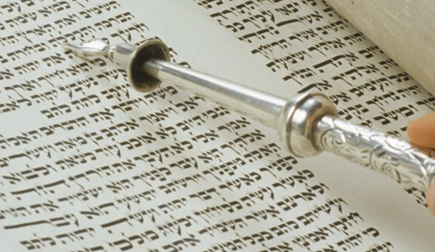 The goal of our Congregational Bar Mitzvah Program is to acknowledge this reality and to add a vital layer of engagement through a program tailored to these student’s learning preferences and interests. 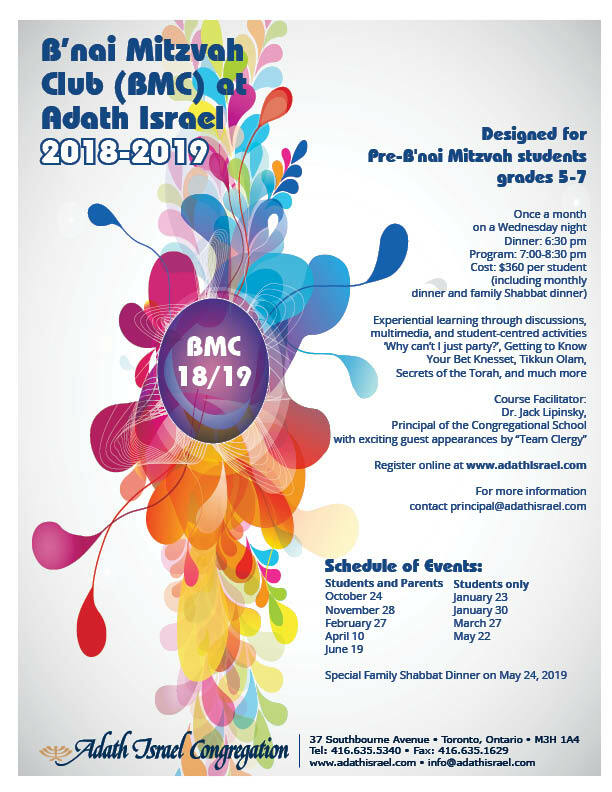 At Adath Israel, we have formed a B’nai Mitzvah Club [The BMC] which meets monthly from 6:30 to 8:30 p.m. Supper occupies the first 30 minutes and offers “schmoozing and bonding time” for the cohort. This is followed by two 40 minutes sessions with a 10-minute break in between. Each of our Spiritual Leaders teaches two 40 minute sessions on topics they consider vital and the Congregational Hebrew School Principal facilitates the remainder of the evening. We have developed sessions and discussions that are experientially based using videos to prompt reactions and speakers who use interactive and multimedia techniques. In addition to having students find their Torah portions in the scroll itself and write the opening paragraphs of their Divrei Torah, students learn about Jewish poverty in Toronto with representatives from Ve’ahavta, debate how to use some of their gift money for tzedakah and learn how Shabbat solves many problems of an over-wired world and a great deal more. 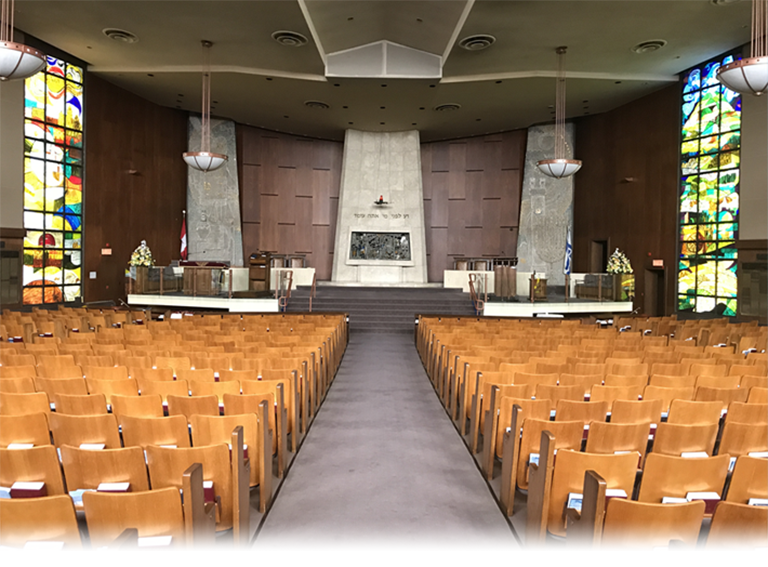 The young men and women also learn how Jews throughout the world celebrate Bar and Bat Mitzvot, some of the history of each ceremony and where the idea of a party came from and why. Parents are invited to selected sessions and everyone participates in a final Friday night Shabbat Supper. This final event features an authentic traditional Shabbat experience and is used as an opportunity for discussing Shabbat’s key role in home life.